NHL News : Another Leafs forward could land on the trade block! Another Leafs forward could land on the trade block! The ongoing trade rumors surrounding the Toronto Maple Leafs, especially since the contract dispute with free agent forward William Nylander has yet to be resolved, have been giving fans across the National Hockey League a serious headache. Unfortunately here today, we might up the headache to an actual full-blown migraine as another forward could land on the trade block following the analysis of NHL insider Darren Dreger. During a Friday morning First Up radio hit on Toronto’s TSN 1050, Dreger went off on a tangent about a conversation with an executive from an Eastern Conference team which got him thinking that the Leafs might not move Nylander, or even Kasperi Kapanen, who ended up on the trade block as the possibility of retaining Nylander's services kept being mentioned. They could end up moving Nazem Kadri. “There are teams around the National Hockey League that look at the Toronto Maple Leafs the same way we do and realize of course that something is going to have to give here. If everybody gets the piece of the pie that they’re comfortable with, somebody is leaving. It’s just financial common sense. But does it have to be Nylander. Does it have to be Kapanen. 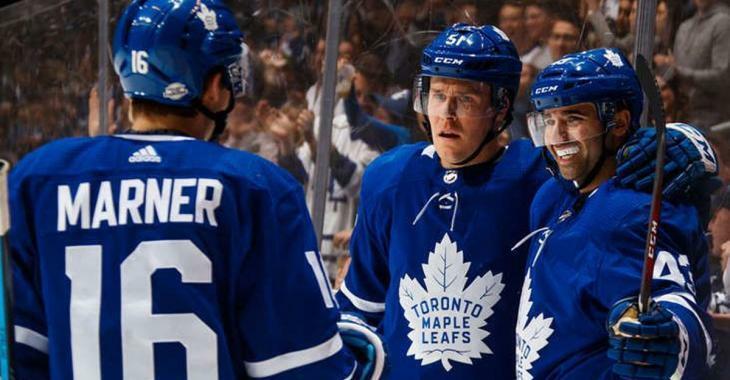 The strategy with moving Kadri, instead of Nylander or Kapanen would surely help the Leafs with the financial puzzle they will be facing when comes the time to re-sign Auston Matthews and Mitch Marner. The return could be quite interesting for general manager Kyle Dubas. However, Kadri, who is in the third season of a six-year, $27 million contract, which only carries a $4.5 million cap hit, has modified no-trade clause that kicked in this season. He can therefore submit a 10-team no-trade list.